Across the world, people who take part in sports are using wearables to monitor and improve their performance including cyclists. A recent trawl through the web has unearthed some fantastic cycle accessories and wearables. Here is our roundup of some of the ones we liked best. This smart sensor helps you to take advantage of the power of your smartphone to monitor your speed and cadence. To use it you just need to download the free App to your phone then pair the Cateye Strada with your phone via Bluetooth. It is the phone in your pocket that monitors your speed, mileage, altitude, and time data, which is cast live onto the screen of the Strada. Most cyclists mount the Strada on their handlebars. All of the data is stored on your phone so that it is available for you to view and analysis in detail once you get home. If you want to keep track of cadence and do not have the budget for the Cateye Strada Smart the Moov is a great alternative. You wear it on your ankle, and it gives you feedback about your revolutions per minute. Also, there are detailed reports and a calculation of the power in your legs. This device will certainly push you on towards your fitness goals. For cyclists, visibility is very important especially at night. Bearing this in mind, we decided to stretch the term wearables a bit and include some of the most innovative LED clothing in this round-up. 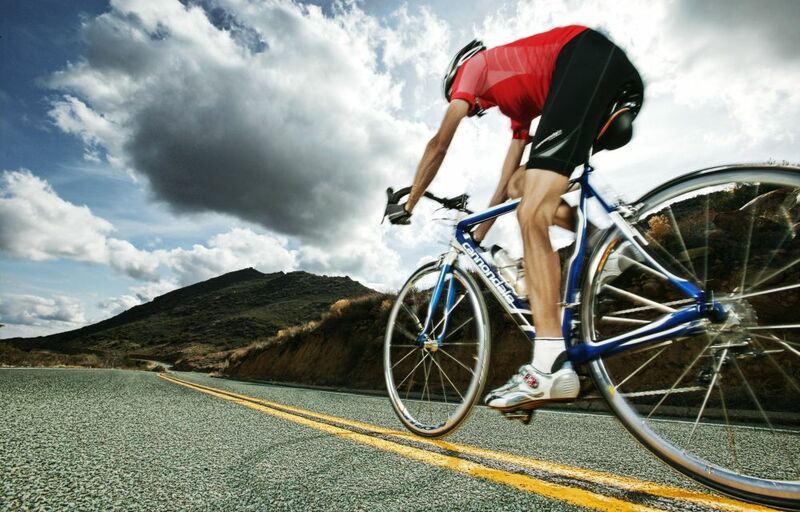 The leading manufacturer of this type of cycle wear is Visijax. They make all kinds of hi-visibility jackets and have several in their range that are specially made for cyclists. Their LED Commuter Jacket has a reflective front zip, cuffs and safety stripes. Built into the sleeves are motion sensitive turn indicators, which are activated when the rider raises his or her arm. The indicators are built into the front and the back of the sleeves. Once the turn has been completed, the indicators automatically switch off. Our last wearable is still in development, but given the fact that it is being jointly developed by Volvo, Ericsson and the helmet makers POC we have every reason to think it will come to market. The new helmet they are developing will alert cyclists when there is a car near them via a light that is set into the helmet. At the same time, the driver of the car will also be alerted to the presence of the cyclist. If you have a cyclist in the family and are looking for a good Christmas present, any of the above will fit the bill. A tech lover, loves to write about technology and the latest happenings in the tech world. Loves animals, and reading books.